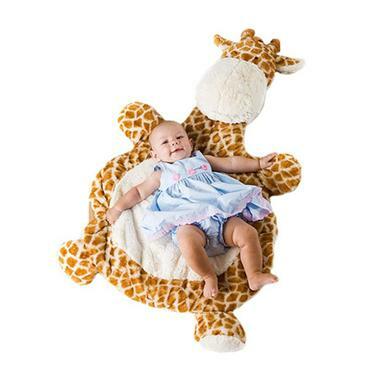 Your baby will be cuddling in comfort and style with this cute and plush giraffe Bestever Baby Mat. The little one will be thrilled with the super soft plush fabric and you'll be thrilled that it is machine washable for easy cleaning. It is the perfect place to put baby for nap-time, tummy-time, or playtime. Not just a mat, but a best friend as well. This cute and functional mat folds up to make carrying it along easy. Also comes in frog, lion, bear, kitty, and cow versions along with many others. For more information or to order, click here.